Frame rates and Crop Factors and Bitrates, Oh My! The Sony a7S II’s array of frame rates, resolutions, and bitrates gives you so many recording combinations that it can boggle the mind. When you add up all of the a7S II’s different recording modes, it can be difficult to keep track of when different frame rates and bitrates are available, and which modes result in different crop factors. 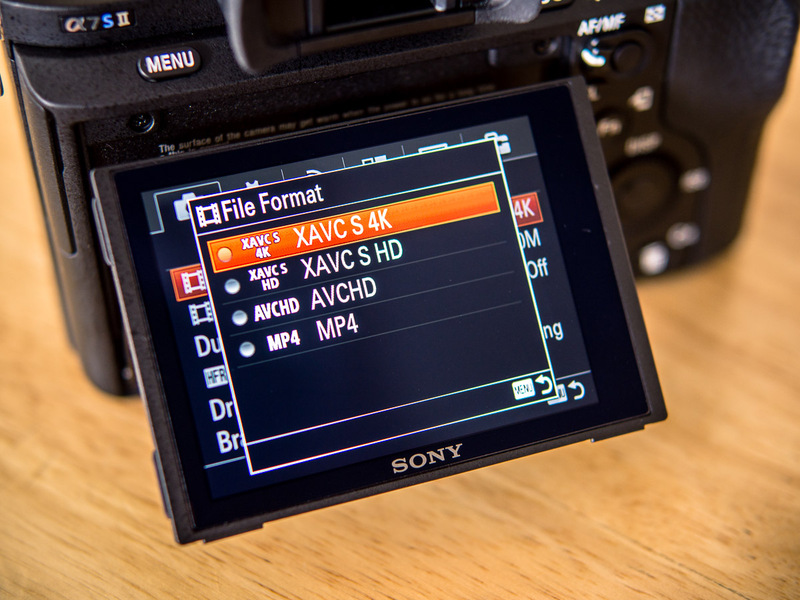 Use this handy reference guide to make sense of the a7S II’s recording modes at a glance. 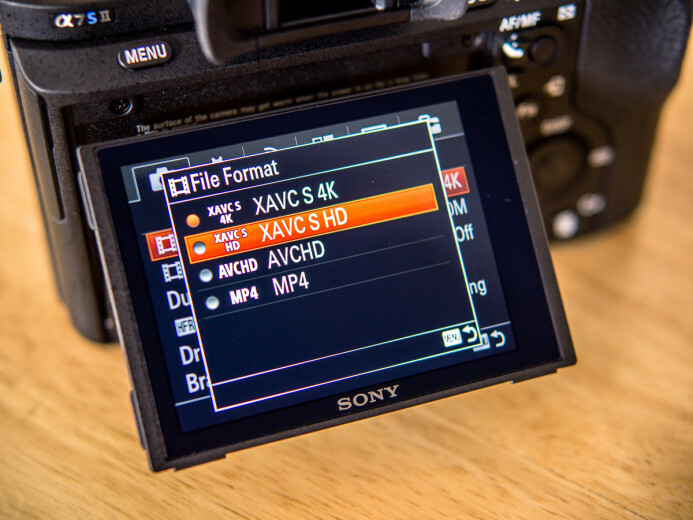 Note: This guide focuses on the a7S II’s recording modes that use the XAVC-S codec. Other codecs deliver lower quality and should be avoided unless you have a specific reason for using them. Whereas the original a7S could only produce 4K video with the aid of a 4K recorder, the a7S II improves upon its predecessor by enabling in-camera 4K recording. This makes the a7S II one of the most compact 4K-capable cameras available, similar in size to the Panasonic GH4. Furthermore, it’s one of the few 4K cameras with a full-frame 35mm sensor. Stick to 100Mbps — 60Mbps is not enough to maintain good image quality, especially for scenes with a lot of motion or detail. If your memory card cannot handle the 100Mbps bitrate, you’re better off shooting in HD instead. Fast computer — a fast computer can handle the larger 4K resolution without getting bogged down. 4K Delivery — while not yet too common, if you need to deliver your footage in 4K, it’s best to shoot in 4K as well. Archiving — shooting in 4K future-proofs your footage a bit better than HD. 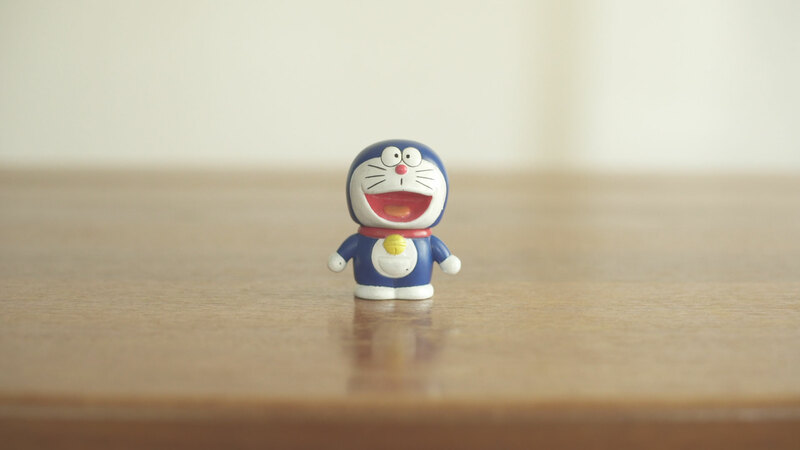 Reframing in Post — the large 4K frame size allows you to use just a portion of the image when delivering in HD. Better HD output – sharpness is improved while artifacts such as noise and banding are reduced when downscaling 4K footage for HD delivery. Slow computer — a slow computer may not have enough gusto to work with 4K footage smoothly, resulting in a frustratingly-slow editing process. Using APS-C Lenses — the a7S II shoots 4K in full-frame only due to the 12MP sensor size, so most APS-C lenses will vignette heavily in 4K on this camera. Slow motion — the a7S II only shoots up 30fps in 4K, which only amounts to a 20% slowdown when playing the footage back at 24fps. Fast turnaround — 4K footage can take longer to render and process, especially if you only need to deliver the final video in HD. Bottom line: The a7S II now shoots in 4K internally, making it easy to capture high-resolution 4K footage without requiring a bulky external recorder. 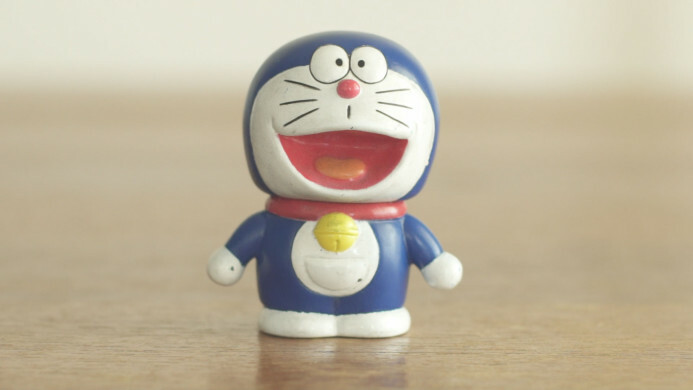 The a7S II also produces solid HD footage. It’s sharp, and the 50Mbps bitrate holds up well. HD is a great option for many projects, especially since most final videos are currently delivered in HD anyway. 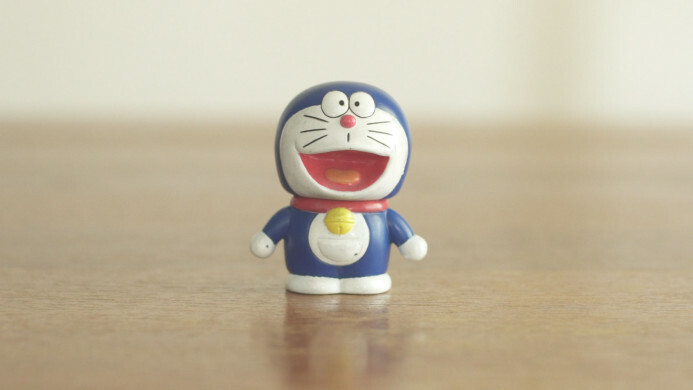 50fps, 60fps, and 120fps are great for slow motion — Shoot at these higher frame rates and then conform the footage in post to your project’s actual frame rate (e.g. 24fps or 25fps) for smooth slow motion footage. Highly compatible — Everything from YouTube to your grandma’s flat screen TV support HD video these days, making it easy to show your video without having to re-render it. 4K Delivery — obviously, if you need to deliver the project in 4K, shooting in HD is not going to cut it. Bottom line: The a7S II’s solid HD output makes it a no-brainer when you need a fast turnaround without compromising on image quality. 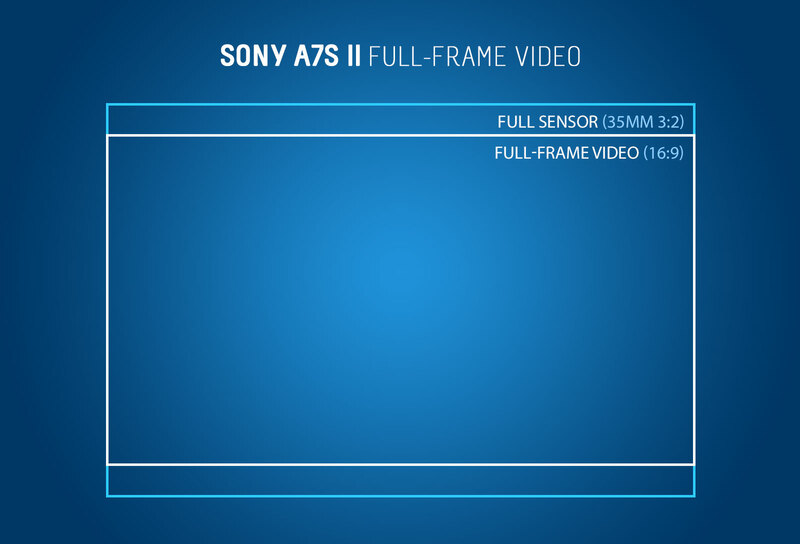 The a7S II can shoot at high frame rates (HFR) up to 120fps. This is great, because when played back at 24fps, you end up with smooth slow-motion footage that is 5 times slower than normal. 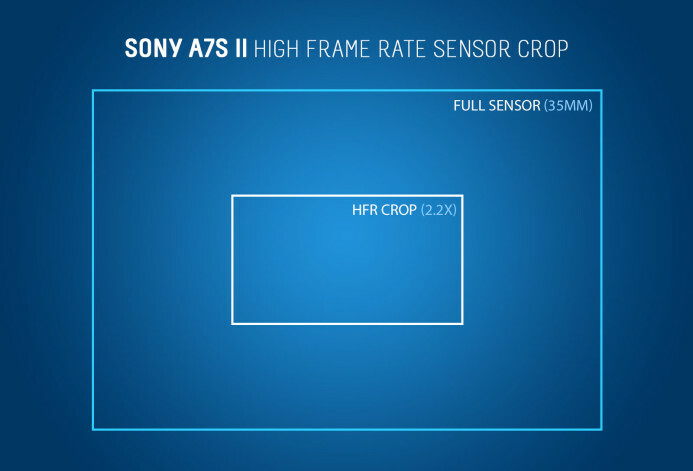 When shooting at high frame rates (HFR) such as 120fps, the a7S II creates actual 120fps files by default. If you want to play this footage back in slow motion, you’ll have to conform the footage in post. However, you also have the option of conforming HFR footage in-camera to the desired frame rate (e.g. 24fps). This saves you a step in post-production, but it also lowers the bitrate to a measly 12-16Mbps. As a result, conforming HFR footage in-camera is not recommended. 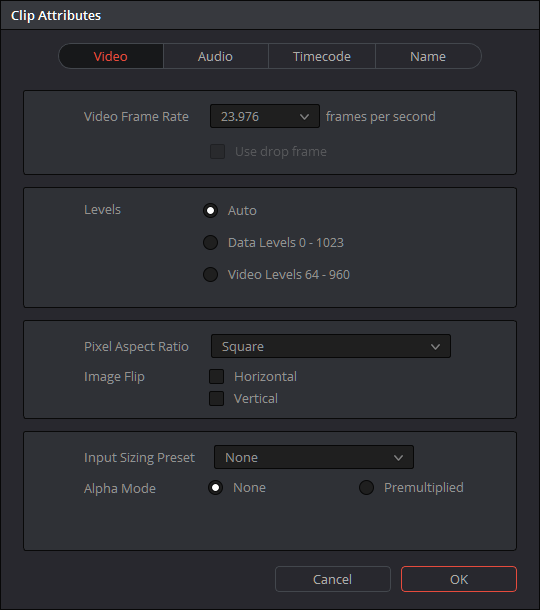 Setting native 120fps footage to play back in slow motion usually only takes a couple clicks in your NLE software (e.g. Premiere, Resolve, etc.) and keeps the bitrate as high as possible. 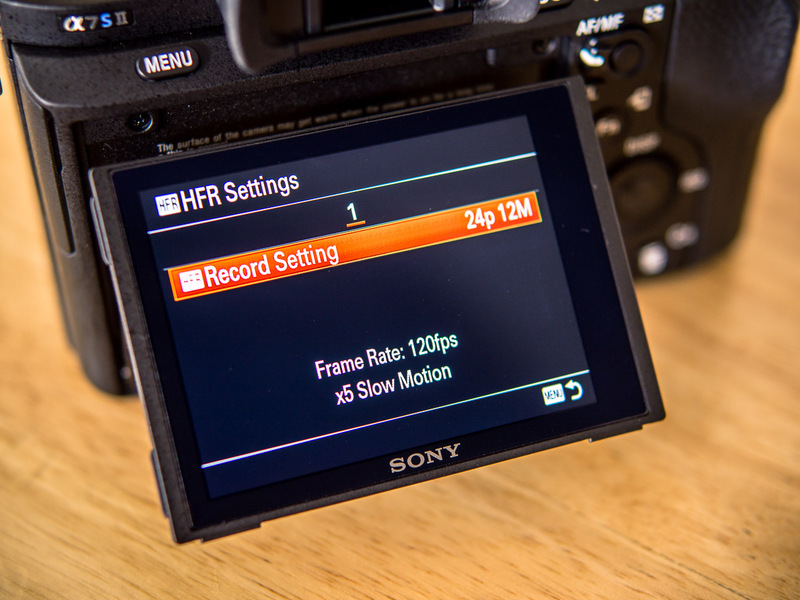 Bottom line: Unless you absolutely need to create a slow-motion file straight from the camera, the a7S II’s in-camera HFR conforming should be avoided. 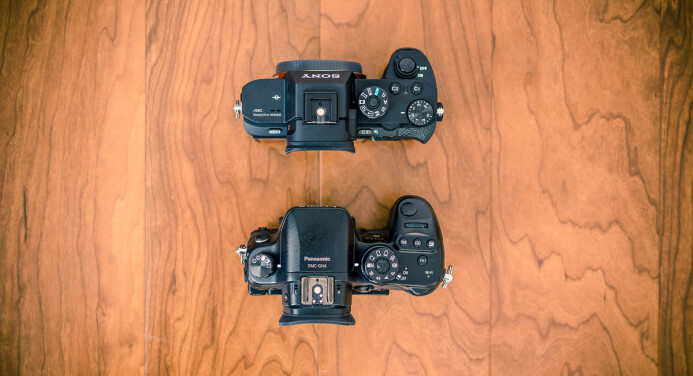 One of the more confusing aspects of the a7S II’s different recording modes are the crop factors you have access to when shooting in a particular format, so let’s break it down so it’s simple to understand. When a smaller section (or “crop”) of the sensor is being used during recording, the “crop factor” indicates how much the resulting field of view (FOV) is affected compared to the full-frame FOV. 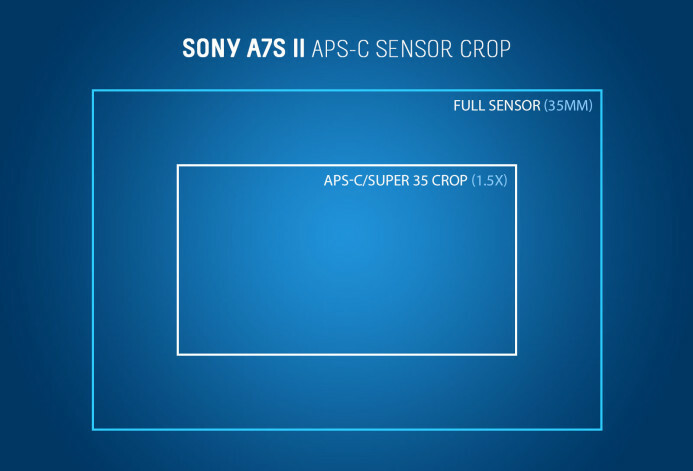 For example, the a7S II’s APS-C mode uses a smaller portion of the sensor, resulting in a 1.5x crop factor. The a7S II uses an even smaller portion of the sensor when shooting HFR footage at 100fps and 120fps to maintain image quality at these high frame rates. Unlike standard HD recording that downsamples the output from the full the 12MP sensor, HFR mode uses a 1920 x 1080 portion of the sensor which results in a 2.2x crop factor. Finally, as the native resolution of the a7S II’s 12MP sensor is so close to 4K resolution to begin with (4240 x 2832 vs 3840 x 2160), you cannot change the crop factor when shooting in 4K like you can when shooting in HD. It’s full-frame only in 4K. 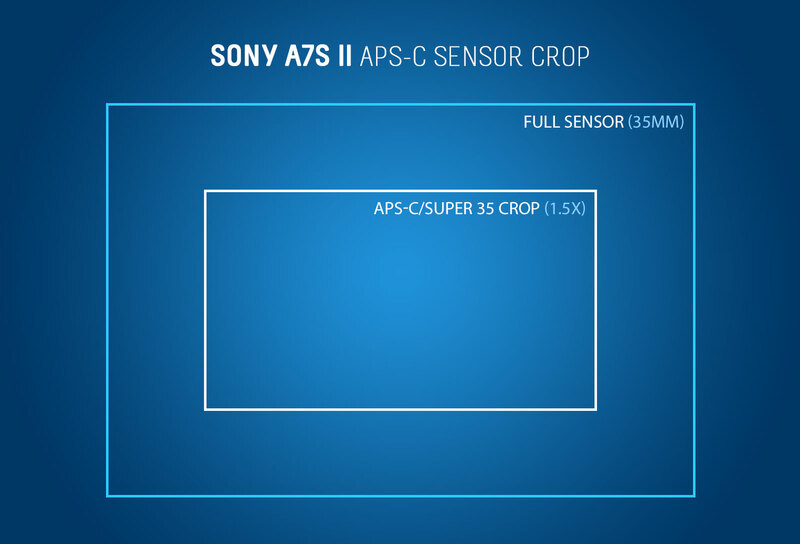 Bottom line: The a7S II’s different recording modes may use portions of the sensor which increases the crop factor and narrows the field of view, resulting in a magnified image. The a7S II gives you a good amount of options when it comes to choosing the ideal recording mode for your project. There may be a lot to take in at first, but once you get a handle on the a7S II resolutions, frame rates, and bitrates, it will be pretty easy to stay on top of it all. Standard frame rates (24fps, 25fps, and 30fps) are available in all resolutions. High frame rates for slow motion are HD-only (50fps, 60fps, 100fps, 120fps). Choose the highest bitrate available to the recording mode you’re using for the best image quality. In-camera HFR conforming should be avoided at all costs. If you ever get lost in the jumble of recording modes, just take a look at the handy table above and things will be much clearer in a jiffy.